Bhushan alleged that the tender itself was issued to purchase a particular brand of Augusta Helicopter, incurring an additional cost of Rs 65 lakh. 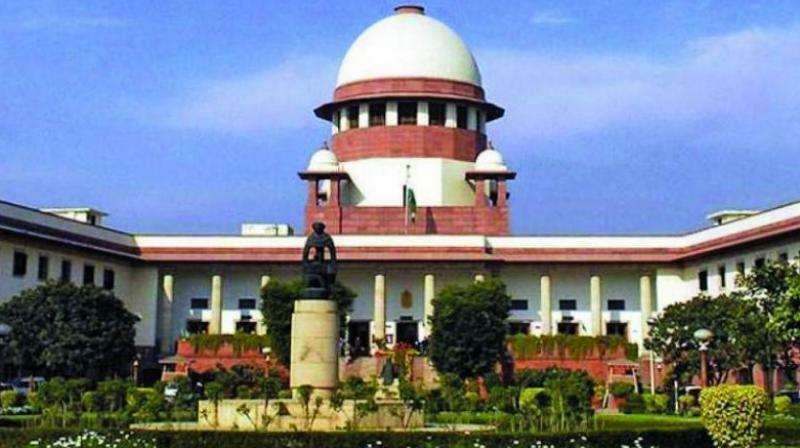 New Delhi: The Supreme Court on Wednesday reserved its verdict on petitions seeking a probe by a Special Investigation Team into the alleged irregularities and corruption in the purchase of AgustaWestland helicopters by the Chattisgarh government. A bench of Justices A.K. Goel and Uday Lalit reserved the verdict at the conclusion of arguments by counsel Prashant Bhushan for Swaraj Abhyan and Sanjay Hegde for other petitioners. Mr Bhushan alleged that the tender itself was issued to purchase a particular brand of Augusta Helicopter, incurring an additional cost of Rs 65 lakh. Mr Bhushan argued that neither Chattisgarh chief minister Raman Singh nor his son Abhishek Singh, who is now a Member of Parlia-ment, have sought an inquiry in this regard. There is a strong possibility that the money paid as commission in this deal as well as in other similar transact-ions have ultimately rea-ched to the bank account of “Abhishak Singh”. Mr Bhushan, quoting documents procured through RTI, argued as to how a VVIP helicopter was purchased by the Chhattisgarh government in a dubious manner by floating a sham tender, one individual representing all the three competitive bidders and a payment of $1.324 million over and above the price of the helicopter. He sought investigation into the role of the son of the Chhattisgarh chief minister.